Richie Bellas and Janice Ellwood have been partners in a dairy operation located a half mile south of Kinsman for more than 30 years. 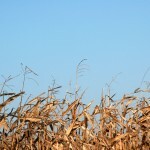 Bellas’s grandparents purchased their northeast Trumbull County farm in the early 1900’s. It was the first and only place they ever lived, and Bellas loved visiting the dairy farm. Richie began helping with farm chores at a young age. he remembers carrying cans of milk out to the road for pick up by the milk truck. 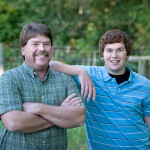 He continued to help out on the farm through his high school, college, and young adult years. When Ellwood was one year old, her family left their home in the City of Niles to start a small farm operation down the road from the Bellas farm. Ellwood’s father learned from neighboring farmers and purchased second-hand equipment to build a substantial farm. Ellwood helped her parents raise cattle, pigs, chickens and turkey along the way a developed a deep appreciation for farming and being active outside. 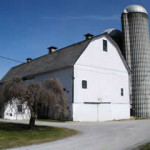 Both Bellas and Ellwood inherited their family farms and have purchased additional land to support their expanding dairy operation. At one time, they were milking 100 cows twice a day. 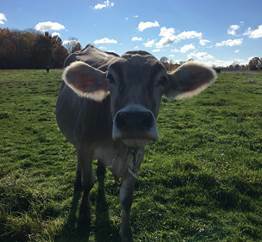 In December 2016, Ellwood donated an agricultural easement permanently preserving her 75-acre farm and Bellas and Ellwood donated agricultural easements on several other parcels totaling 180 acres. 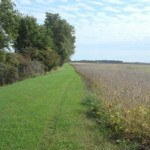 Agricultural easements protect the viable agricultural soils from development and other impacts, which in turn protects the deep agricultural and rural heritage, such as in northeast Trumbull County.